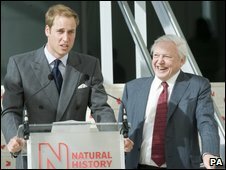 The new £78m Darwin Centre at the Natural History Museum has been opened by Prince William. 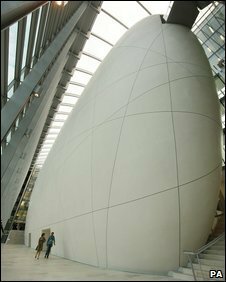 The centre, in central London, features an eight-storey "cocoon", housing 17 million insect specimens and three million plant specimens. Visitors will also be able to see scientists at work in new laboratories as well as visit the Attenborough Studio, named after the TV naturalist. Following the official opening, the centre opens to the public Tuesday. 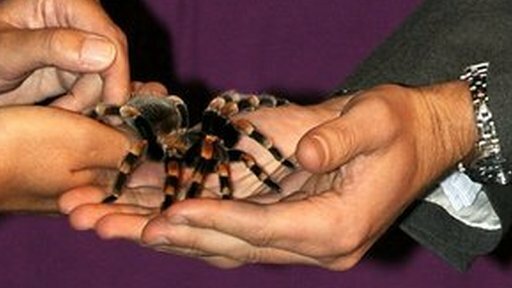 The prince, who held a tarantula during the visit, was joined by Sir David Attenborough for the official opening. Prince William said: "As the superb new facilities of the Darwin Centre show, the Natural History Museum and the dedicated people who work here are at the very forefront of research, seeking out through study of the natural world the answers to the great questions of our age." The centre also houses a 35 square-yard (30 sq metres) collage of interactive screens, called the Climate Change Wall, which educates the public about global warming. The centre, which will provide opportunities for the public to learn about natural history, will be able to be used by more than 200 scientists at a time. The Darwin Centre is considered the most significant development at the museum since it moved to South Kensington in 1881. The first phase, housing the museum's 22 million zoological specimens stored in alcohol, opened in September 2002.